St. George Island, Florida is home to award-winning, white sand beaches and the best fishing on Florida’s Forgotten Coast. With no high-rises anywhere, you can see the beautiful Gulf of Mexico or Apalachicola Bay from most anywhere on the Island. 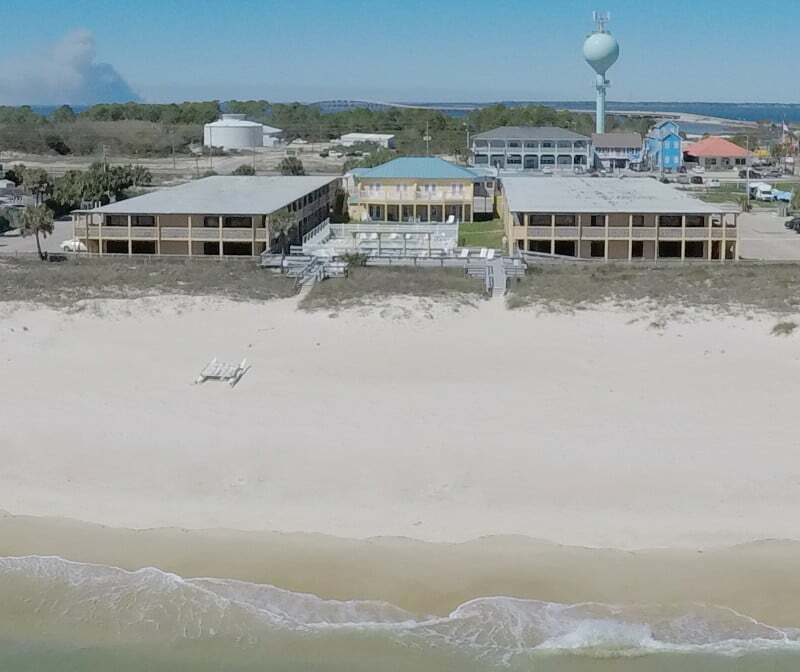 The Buccaneer Inn is the ONLY beachfront hotel on St. George Island and is the perfect central location for all things to do on St. George Island. Explore St. George Island and Apalachicola using our list of popular activities and things to do while visiting. While staying on St. George Island, you don't want to miss the following fun annual events. For more events happening on Florida’s Forgotten Coast click here. Come show your support for the local Apalachicola Volunteer Fire Department by enjoying some delicious local seafood! Taking place on the Friday and Saturday before Martin Luther King Jr. Day in beautiful downtown historic Apalachicola at Riverfront Park. Featuring a silent auction, oyster cook-off contest, local seafood, locally brewed beer, live music and a 5k! All proceeds go towards supporting the Apalachicola Volunteer Fire Department. Tour some of St. George Islands most unique and distinctive homes from beach to bay! Held in February, the event is a fundraiser for the Cape St. George Lighthouse. Proceeds from the event go towards maintenance and improvements of the Lighthouse, Keeper’s Museum and Lighthouse Park. On the first Saturday in March, the St. George Island Regional Charity Chili Cook-off & Auction starts a host of spicy events that take place all throughout the day. There are several contests including a golf tournament, the 5k pepper run, crock pot chili contest, auction & chili cook-off sanctioned by the International Chili Society. With an estimated 5,000 people in attendance to show their support for the St. George Island Volunteer Fire Department. If you like craft beer and furry companions, go show your support for the local Franklin County Humane Society by participating in the St. George Island Brewfest, taking place the last weekend in April. Enjoy a day of craft beer tasting from featured breweries and listening to some amazing live music at Paddy’s Raw Bar. All proceeds go towards funding the Franklin County Humane Society. Taking place on the second Saturday in June, is the most unique event in North Florida, the annual Mullet Toss. Support local organizations by enjoying some good family fun on St. George Island! Held on the beach behind the Blue Parrot. Visitors, locals and kids alike compete to see who has the longest throw and have a chance to win prizes. July 3-4 the coast is where you'll want to be to celebrate Independence Day. The celebration in Apalachicola takes place on Independence Day eve and features fireworks over the Apalachicola River. The St. George Island celebration is July 4, with fireworks over the Gulf of Mexico, in front of the Blue Parrot. Come with your patriotism flying and enjoy the firework show and live music! Come enjoy some amazing local seafood, arts and crafts exhibits, local and special musical entertainment and seafood related events. Taking place on the first weekend in November, the Florida Seafood Festival is one of the largest events of the year drawing tens of thousands of visitors every year coming to admire the beauty of historic Apalachicola and enjoy the delicious local seafood.